Customize a self-stick notepad center with your logo to hand out at tradeshows or other promotional events to keep your brand alive. 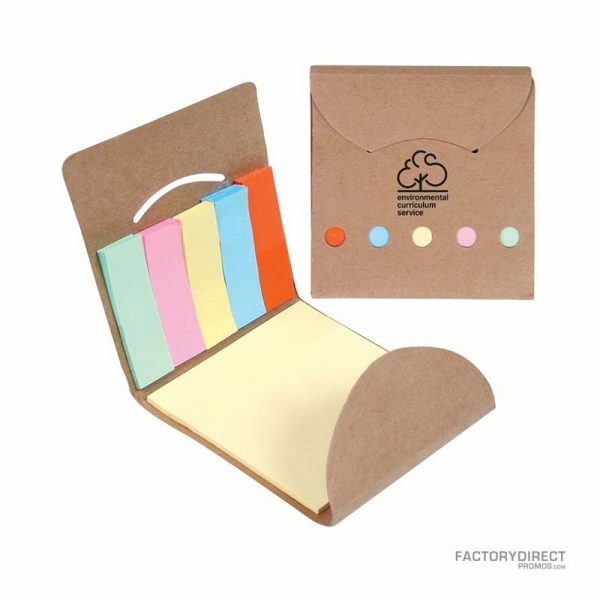 This handy container keeps your desk or workspace organized and fits a pad of self-adhesive notes. 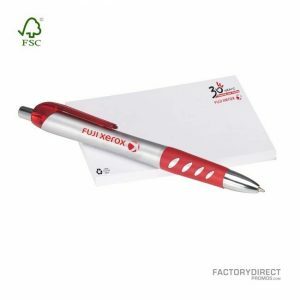 The top simply flips up so you can grab a note when you need one and neatly conceals the notepad while displaying your logo the rest of the time. At Factory Direct Promos we work directly with the factory so we can secure low wholesale pricing that we pass along to you. If you have something more custom in mind check out our overseas capabilities for additional options to tailor an item for the perfect promotional tool.